Cam-O Corp. was a camera maker in Kansas City, Missouri (USA). Considering the scant history found online about the company, it seems to have made no great impression on the camera world. 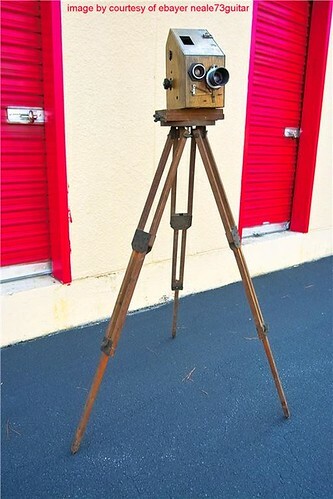 Cam-O manufactured a wooden TLR camera for long 46mm film or 1.75" film rolls, used for class photos. This model was sold in a 'kit' containing the camera, a tripod, light stands and incandescent lamp heads, a background stand, and a window-shade-type painted backdrop. These were all packed into a rather large carrying case. Some touches to the camera are elegant, others pretty crude. There was no focus allowed for - other than by moving the camera back and forth. One known example includes a 4 1/2" Wollensak Raptar lens in an Alphax Heavy Duty shutter. This page was last edited on 30 October 2014, at 02:44.